We introduce ourselves as a reputed organization manufacturing trading of the power irregular solutions and other computer peripherals in Nepal since 2066 BS. We are sole distributor of BPE, ServoStar and VAMAA. 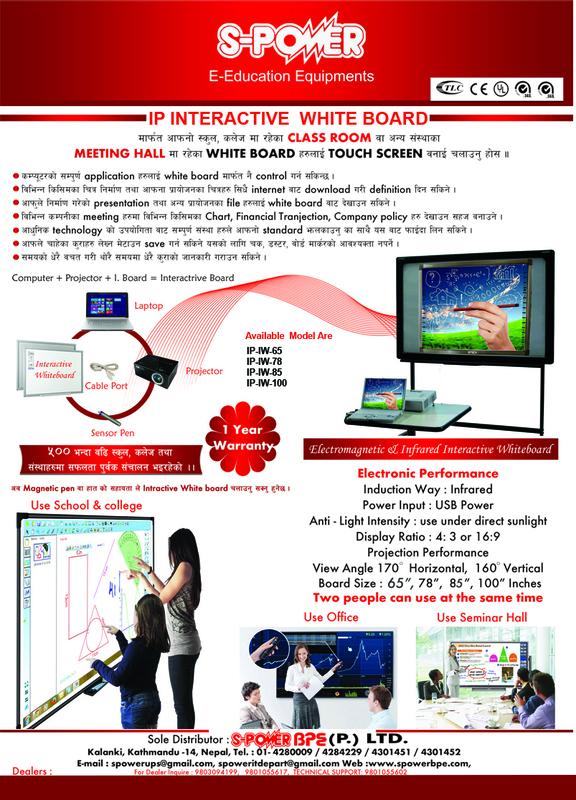 We are also supplier of Interactive Whiteboards and Receivers that enhance the education and presentation techniques in the modern digital world. Company upgrades the R&D capability time to time by our specialized Technocrats who works hard with changing trends to boost turnover to Multicourse. 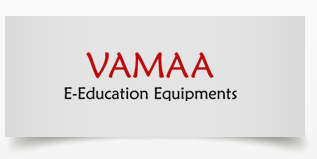 VAMAA offers high-volume manufacturing with focused quality control for the computer peripherals and E-Education equipments. The vamaa products such as Multi PC Terminals, Interactive Whiteboard Receivers, Interactive Whiteboards, Printer Consumables and Networking Cables are being used at the large extent in India as well as in Nepal. Because of the durability, easy availability and the reasonable prices, Vamaa Products are gaining more and more market values day by day. Copyright � 2013 SPowerBPE. All rights reserved .